Smoking is an expensive habit. Many people often complain about the large amounts of money they spend on cigarettes on a monthly, weekly and even daily basis. So what can be done if you want to keep smoking and not spend so much money on it? Well, a possible solution is to find a cheaper brand of cigarettes – a brand that is still of high quality but comes at a lower price. One such brand is Fortuna. 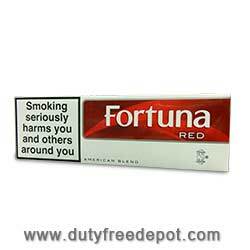 Fortuna cigarettes are made in Spain by Altadis, the top tobacco company in the country. These cigarettes are made of American tobacco and possess a unique aroma. They come in two flavors: Fortuna Red and Fortuna Blue. Where can Fortuna cigarettes be found? Well, a good place to purchase Fortuna cigarettes and tobacco products in general is Duty Free Depot. Duty Free Depot is an online shop for tobacco products and accessories, where you can find cigars, cigarettes, lighters, spirits, as well as e-cigarettes. The shop offers many types and flavors of cigarettes and cigars at cheap prices, so every person find his/her perfect match. Plus, though the prices are low to begin with, the shop regularly offers various deals, discounts and coupons. So it's always a good idea to check it and see what's new. Duty Free Depot has many other advantages besides its low prices. No matter where you live, in the USA or abroad, we are shipping worldwide. 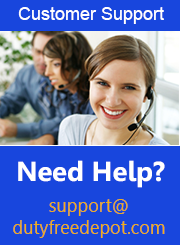 Plus, for every question or problem you can contact the highly reliable customer service and get all the answers that you need. So all in all, Duty Free Depot provides a great shopping experience for all cigarette lovers. Visit the website today and order your favorite brand!